New in 2014, the Pro Staff 95S combines classic Pro Staff performance and feel with Wilson's Spin Effect Technology. Spin Effect Technology is engineered to increase the amount of spin on a player's shot, adding twelve inches to the length of the court and lowering the net two inches. This ground breaking advancement allows players to produce significantly more spin without changing their swing. 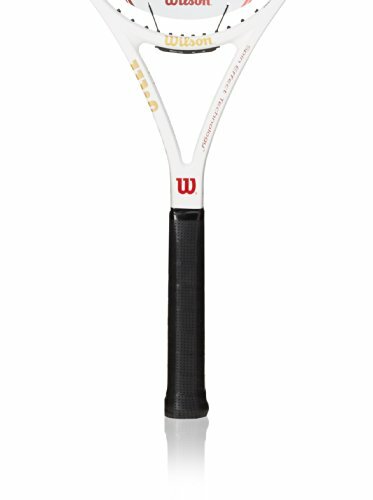 The Wilson Pro Staff 95S racquet has a more open 16x15 string pattern with 16 main strings and 15 cross strings. By lowering the number of cross strings from a standard string pattern, it allows for more string movement and a faster string snapback which produces 10% more spin on the ball. Updated to the frame this year, the Pro Staff 95S brings back the use of Kevlar materials in the frame, braided together with Graphite. By bringing the Graphite and Kevlar material together on this frame, the player will experience a return to the classic feel and performance that dates back many years for the Pro Staff line of racquets. Engineered for the advanced player, the Pro Staff 95S is made with a slightly larger frame and a lighter weight than the classic version for a more manageable swing and larger sweet spot. 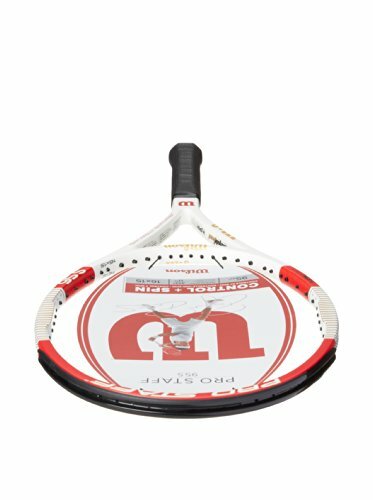 Another unique feature for the Pro Staff family of racquets is the flat box beam style of the frame. This box beam frame makes the racquet much stronger and more stable therefore providing the player with an unbelievable amount of control. 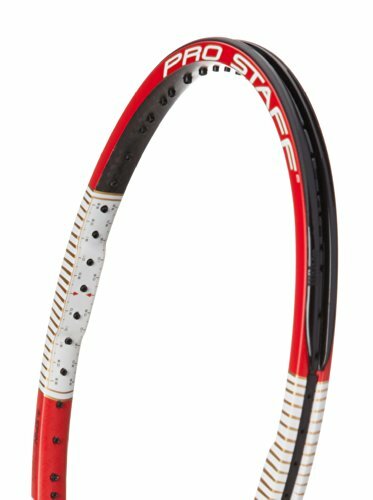 New to the racquet this year, the Pro Staff 95S includes a customizable Perimeter Weighting System (PWS) on the sides of the frame allowing the user to add weighted tape to the racquet to adjust for their perfect feel. This system shows the user how much weight will be added depending on the length of the weighted tape that is applied. 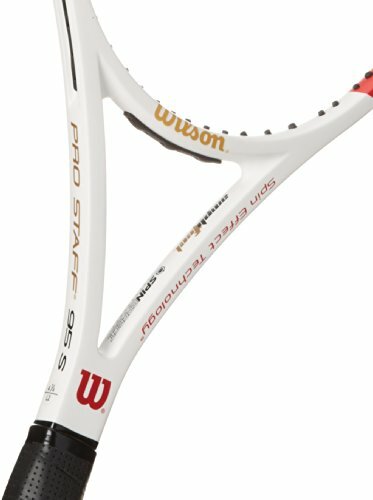 The Pro Staff 95S also features the Wilson Exclusive Amplifeel technology added to the handle of the racquet. Amplifeel refers to the Basalt inserts that are built into the handle of the racquet to counteract harsh vibrations and enhance feel. 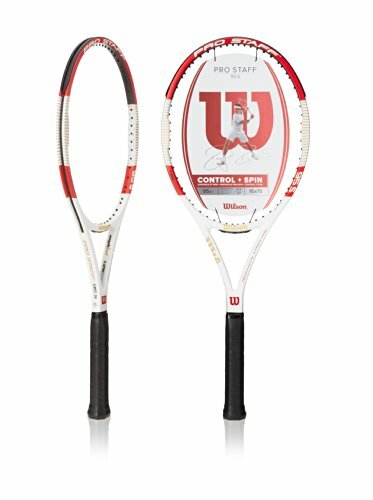 Overall, the Wilson Pro Staff 95S is ideal for advanced players who demand ultimate control and spin.